Too bad you don’t learn about an area’s really “cool” places until your first visit is almost over… While hiking today I stumbled on Eski Datça – a very cool community about 30 minutes from Datca. Eski is the Turkish word for “old”. 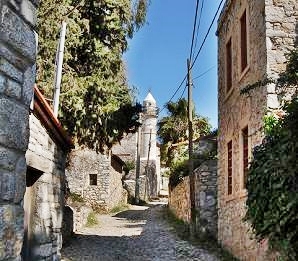 Eski Datça is the original old village of Datça in the hills overlooking the harbor. 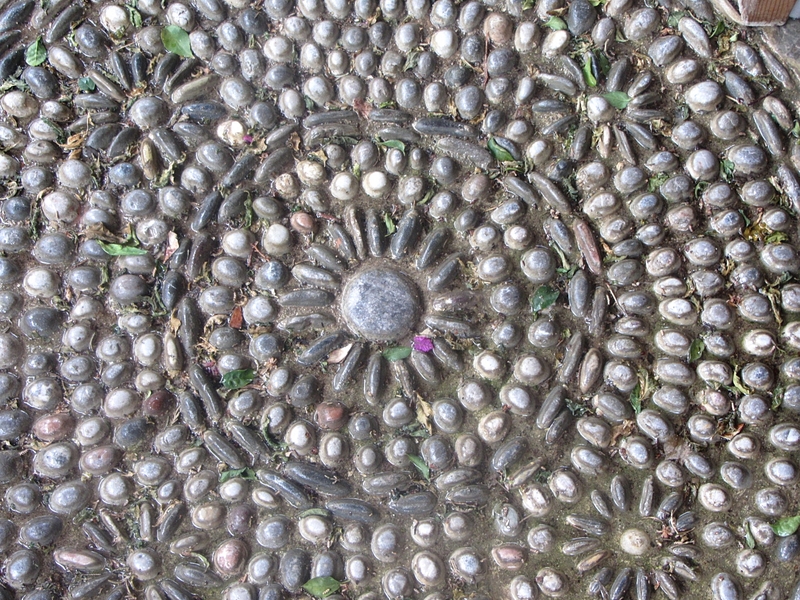 The secluded location was for protection from pirates who routinely ransacked coastal villages. 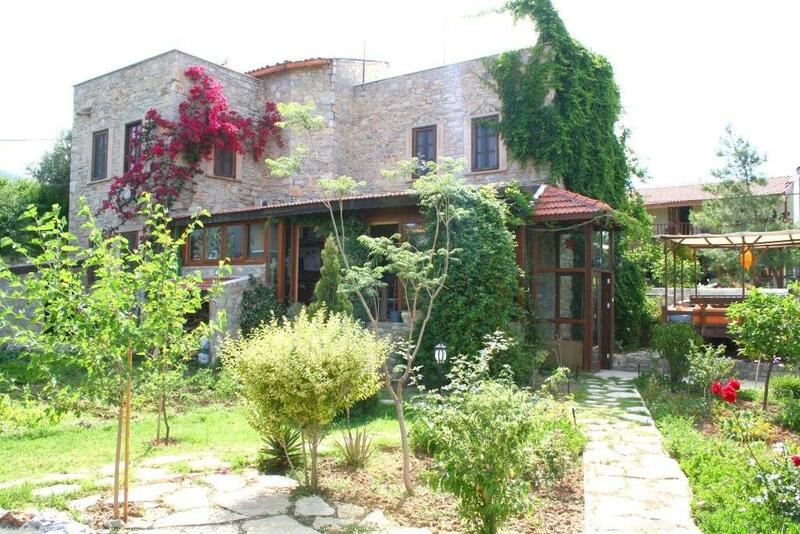 Eski Datça is known for its interesting old stone houses set along cobbled streets. Everything in Eski Datça is well-kept on a lush green hillside where there are restaurants, cafés, and village handicraft shops. The Dede and the Doğa are two popular pensions in Eski Datça. During the summer there’s a yoga retreat at Yaghane Pansiyon where yoga courses take place on a roof terrace with panoramic views or on a platform in the pension’s fragrant garden. I was hiking today and it started raining really hard – the ground around me literally turned into a small river. I circled back to the village to try to find shelter – everything seemed closed for the winter and then I discovered a small café that was open. The Turkish owners of Ede Café & Restaurant brought me some fantastic French press coffee and we talked as much as possible – considering my limited Turkish and that they speak little English. The owners are both artists – some of their ceramic masks were displayed in the café. In addition to their small restaurant they rent a few vacation apartments and gave me a brochure in Turkish which lists their website. I became friends with their dog – Pasha – and while the rain continued pouring down steadily I waited on the veranda and enjoyed a bowl of delicious hot soup, fresh bread, and some Turkish pickles that were out of this world! There is a hiking trail (not well-known or publicized) from Eski Datca to Knidos that passes through several villages along the peninsula. Not sure how many miles that is but imagine it’s a several day hike. It sounds like fun but probably isn’t a good idea to do on your own. If you don’t want to walk from Datça to Eski Datça, you can catch a small bus on the main drag that goes to and from Eski Datça – once an hour in the winter and once every 30 minutes during summer. 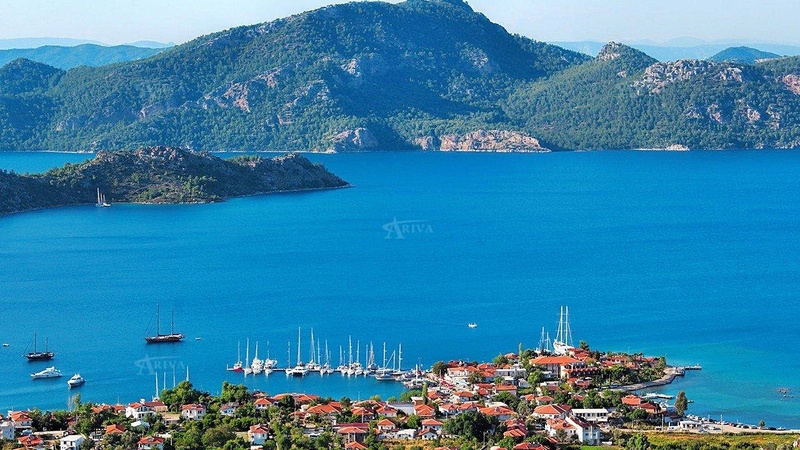 The outline of the Datça Peninsula follows bays and coves along the coast for 62 miles. 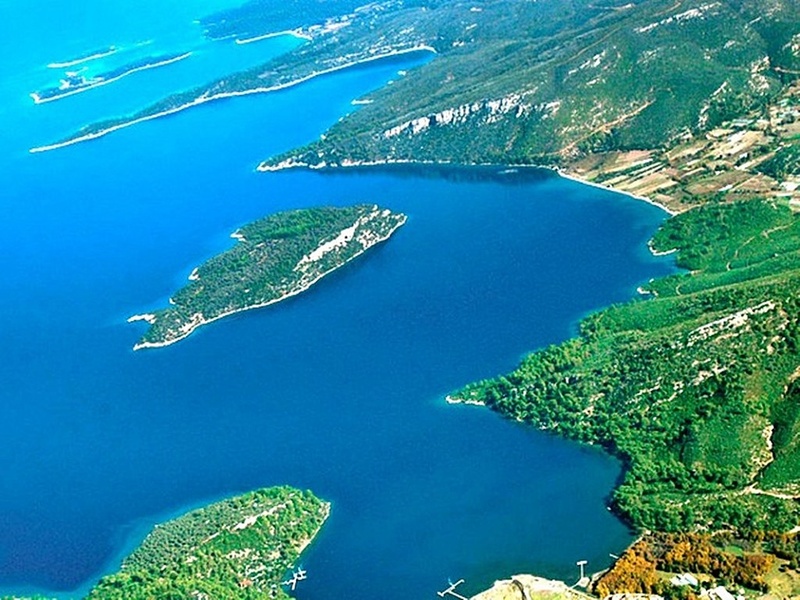 The Peninsula separates the Gulf of Gökova on the Aegean Sea to the north from the Gulf of Hisarönü to the south. There are nine villages scattered along the Peninsula. Because of many beautiful coves and bays, the peninsula’s ports are a favorite location for tourists visiting by sea. At the extreme end of the western tip of the peninsula, called Tekir, is the ancient city of Knidos which I will visit later this week. 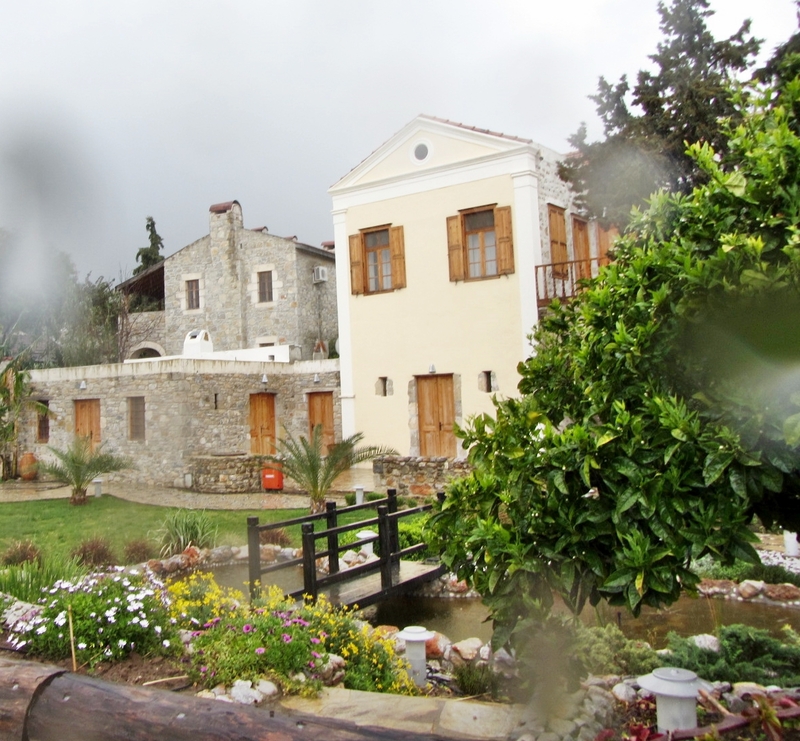 This entry was posted in Turkey and tagged Datca, Dede, Doga, Ede Café & Restaurant, Eski Datca, Gulf of Gokova, Gulf of Hisaronu, Knidos, Tekir, Yaghane Pansiyon, Yoga by suemtravels. Bookmark the permalink.